Dentures and Partials - Lisa K. Zaborski, D.D.S, P.C. If you’ve lost all of your natural teeth, whether from periodontal disease, tooth decay or injury, complete dentures can replace your missing teeth and your smile. Replacing missing teeth will benefit your appearance and your health. Without support from the denture, facial muscles sag, making a person look older. You’ll be able to eat and speak-things that people often take for granted until their natural teeth are lost. 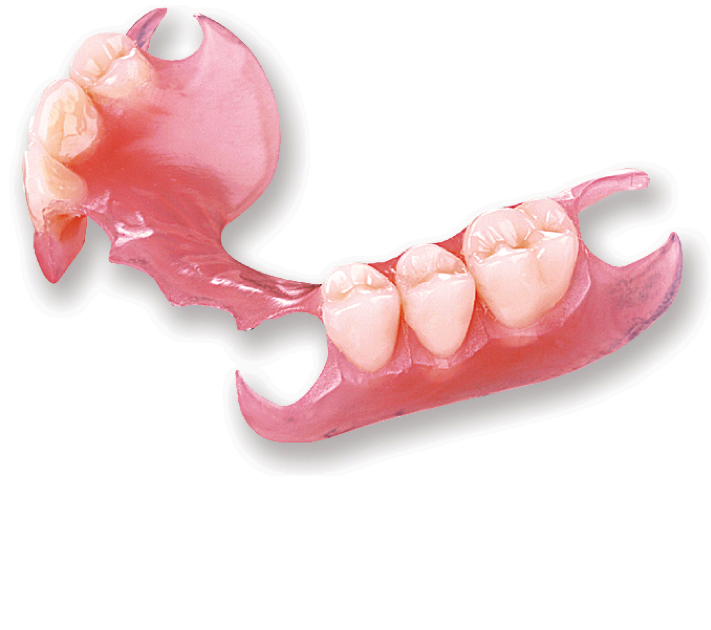 There are various types of complete dentures. A conventional full denture is made and placed in the patient’s mouth after the remaining teeth are removed and tissues have healed which may take several months. An immediate complete denture is inserted as soon as the remaining teeth are removed. The dentist takes measurements and makes models of the patient’s jaws during a preliminary visit. With immediate dentures, the denture wearer does not have to be without teeth during the healing period. Removable partial dentures usually consist of replacement teeth attached to pink or gum-colored plastic bases, which are connected by metal framework. It is also possible that you have lost some of your teeth but not all of them due to any of the causes listed above. A partial denture is removable and consists of replacement teeth attached to a pink or gum colored plastic base which may or may not have metal attached. The partial dentures without metal are called Valplast Partials. Valplast partials are a comfortable, natural, inexpensive way to fill in missing teeth and give you confidence in your smile while performing everyday tasks such as talking and eating. Call Dr. Lisa Zaborski and her helpful staff of Shelby Township, Michigan at (586) 739-1155 today to learn more about dental dentures or partials!